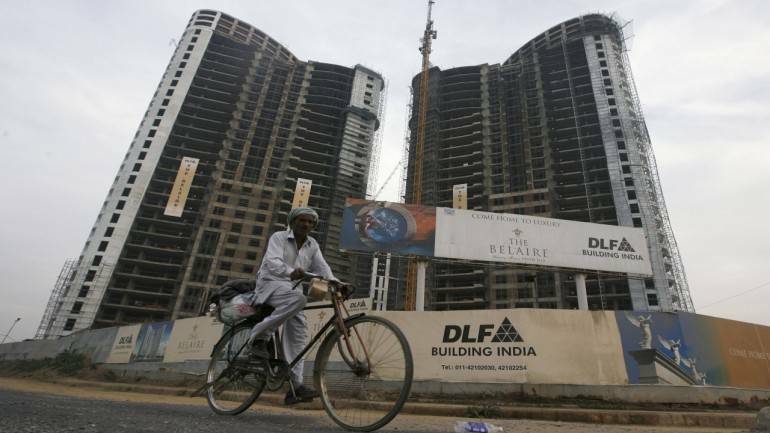 As part of its new business model, DLF will sell apartments only when it gets occupancy certificate after completing the project so as to remove any uncertainty regarding costs and delivery timelines, a senior official of the realty major said. Highlighting the company's new business model, DLF's group CFO Saurabh Chawla said the company would sell only completed products from now onwards. "Customers are now averse to taking risk and they prefer to buy ready-to-move-in apartments," he added. Chawla said DLF will apply for occupancy certificates once the structure of the building is complete along with other infrastructure. The additional cost on increased working capital requirement would be marginal, he added. DLF currently has completed inventory worth about Rs 13,500 crore, which would be sold over the next 5-6 years. The company would continue to build fresh inventory of completed product. "We will open sale in this project after structure is complete and we get occupancy certificate," Chawla said. In a presentation, DLF observed that "Incidentally, both RERA (new real estate law) and Ind AS 115 (new accounting standard) support evolution of this business model". From taxation point of view, there is no GST on completed units while the effective GST rate is 12 percent for under-construction flats. As part of new business model, DLF would sell residential products to retail customers. The commercial properties would be sold either to retail customers (B2C) or to DLF Cyber City Developers Ltd (DCCDL) -- JV firm with global investment firm GIC -- as investment properties (B2B). It might hold commercial properties to earn lease rentals. DLF would also strive to be debt free in development (residential) business over the near term. Net debt at the end of quarter stood at Rs 7,120 crore. For debt reduction, Chawla said the company could launch qualified institutional placement (QIP) this fiscal while promoters would infuse an additional Rs 2,250 crore by March 2019. "Implement a business model where 50 percent of free cash is targeted to be reinvested in projects with returns in the range of about 20 percent plus on development costs and balance 50 percent of free cash to build up cash reserves for potential special dividend payouts, share buybacks, acquisitions etc," the presentation said. Last week, DLF reported a 56 percent increase in its consolidated net profit at Rs 172.77 crore for the first quarter of this fiscal. Its net profit stood at Rs 110.70 crore in the year-ago period.